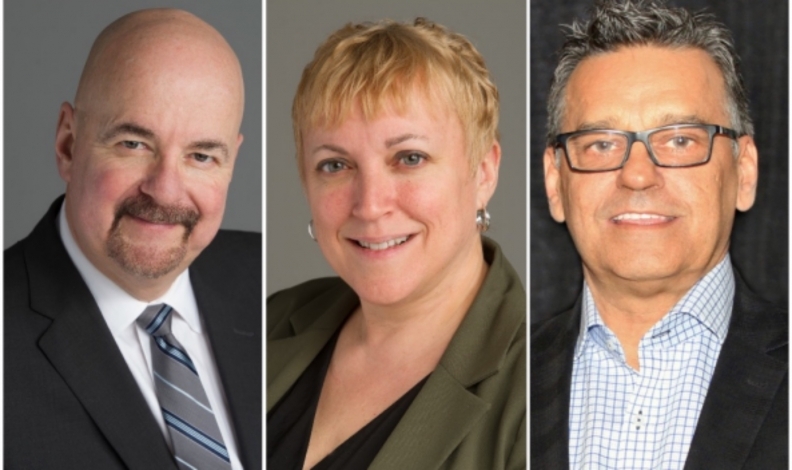 From left, John Vernile has been named director of regional operations, Barb Collins assumes the role of regional manager for Ontario/Atlantic and Daniel Dallaire is the regional manager in Quebec. Mitsubishi Canada, coming off two consecutive years of sales growth, has hired a former Volkswagen executive to oversee three newly added regional managers while expanding its national headquarters in Mississauga, Ont. John Vernile has been named director of regional operations. In his role, Vernile, who has spent 40 years in the automotive industry, will oversee the regional operations team, dealer development and the commercial field group. Vernile has held jobs in sales, operations, marketing and customer service at a number of automakers. He was most recently director of sales for Volkswagen Canada. “John brings to our organization a rare combination of experience that will help our team push forward to the next level,” Mitsubishi Canada CEO Tony Laframboise said in a statement. With new products and the larger management team, Mitsubishi Canada is “looking to achieve double digit growth for our company and brand,” Laframboise said. Mitsubishi has increased sales in each of the last two years. They are up 6.2 per cent since 2015. The automaker sold 22,706 vehicles in 2017, up from the 21,384 it sold in 2015. Three regional managers overseeing Western Canada, Quebec and Ontario/Atlantic will report to Vernile. As part of the executive changes, Barb Collins assumes the role of regional manager for Ontario/Atlantic. Daniel Dallaire is the regional manager in Quebec. The western regional manager appointment will be the subject of a future announcement, Mitsubishi Canada said in a statement. Also joining the Canadian executive team is Steve Browning, who will assume the role of district sales manager in Ontario, effective immediately. Browning was employed by Mitsubishi Motors from 2002 to 2013 in various roles, including as a district sales manager. Jeff Burton has also been hired as Mitsubishi Canada’s manager of digital marketing, a newly created position at the company. Burton brings 12 years of advertising and digital marketing experience. Five of those years have been spent in the auto industry. To support the company’s growth and the additional appointments across the organization, Mitsubishi Canada has expanded into an additional head-office building located at 2100 Matheson Blvd. East in addition to its head office located at 2190 Matheson Blvd. East. The company’s corporate staff are now located in two head office buildings.